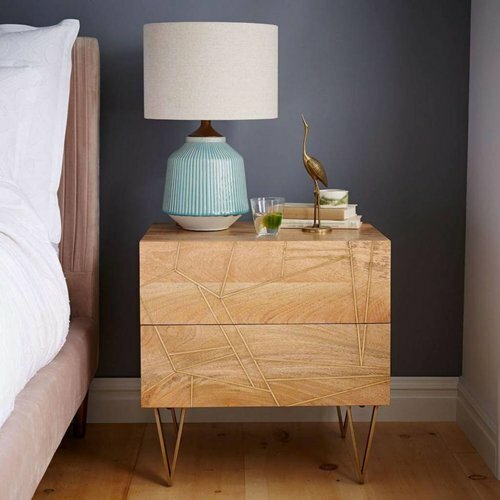 Bedside tables, are indispensable in your bedroom. Such a bedside table is of course very practical to place your alarm clock. But also your book or magazine, a night light or a glass of water get a place on this piece of furniture. 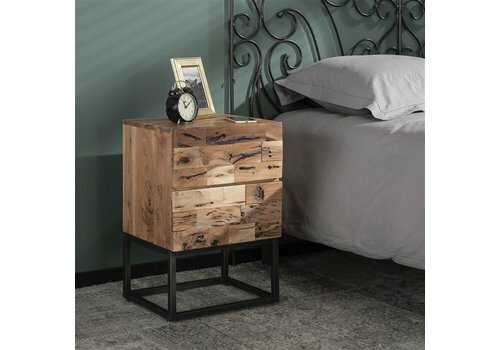 Bedside tables, are indispensable in your bedroom. Such a bedside table is of course very practical to place your alarm clock. But also your book or magazine, a night light or a glass of water get a place on this piece of furniture. Think carefully if you want to use your bedside table as storage, because if that is the case, you can opt for a variant with multiple drawers. 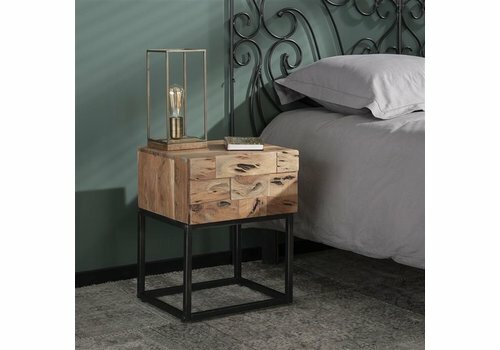 We have various models in our collection: bedside tables with open compartments, bedside tables with one or more drawers or bedside tables with an open compartment and a drawer. And all these variants come in different heights and widths and suit different types of beds. Do you want a rustic bedside table in oak, or rather an upholstered bedside table so you get a warmer look in your bedroom? We use various materials for our bedside tables. So there is always a model that fits you completely. If you are looking for more peace and unity in your bedroom, then you choose bedside tables in the same style as your bedstead. If you want to create a more playful effect in your bedroom, use a side table or stool as a bedside table. Very trendy! 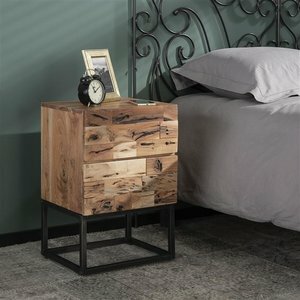 Buying a Bedside table at Furnwise? 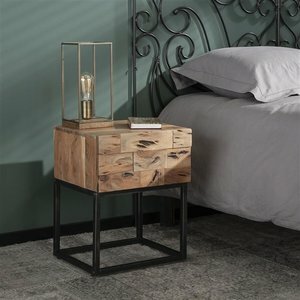 Found a bedside table that fits perfectly with your personal living style? Order easily online or request a quote. Are you not completely out yet? Our advisors will be happy to help you choose the correct table that matches your interior and budget. Together with you we find a suitable side table for your interior!